The Tecnifibre Men squash socks are designed to provide you with an optimal protection and a great comfort thanks to their padding and breathable material. You will be seduced by this pack of 3 Tecnifibre squash socks for men. You will find in this pack 2 pairs of white socks and 1 pair of black socks. They can be combined with all your squash outfits. 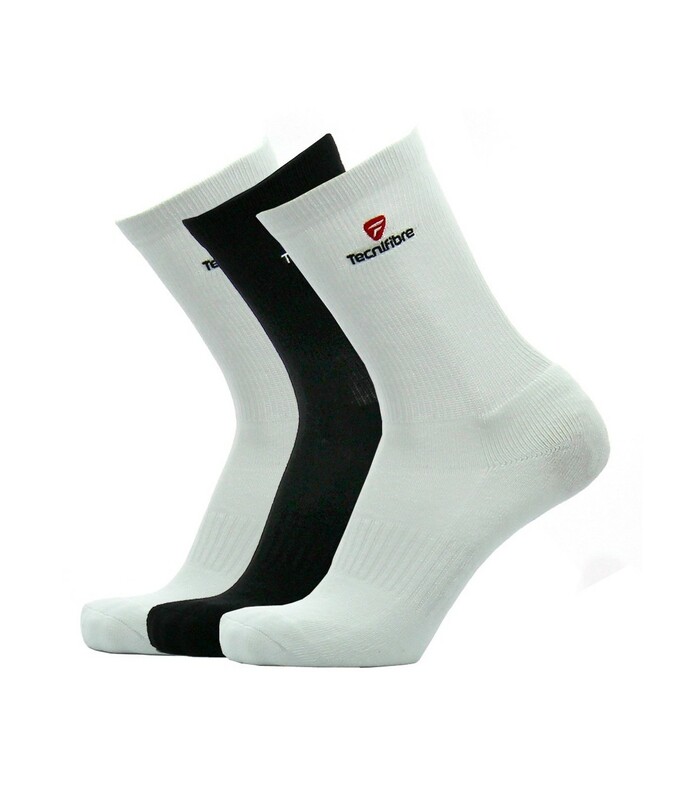 Complete your look with these high quality squash socks. You will appreciate the thickness of these socks that protect thus better your feet against frictions and blisters. Despite their thickness, the Tecnifibre men's squash socks are ultra-breathable and allow a good ventilation of your feet, providing you very nice playing conditions. 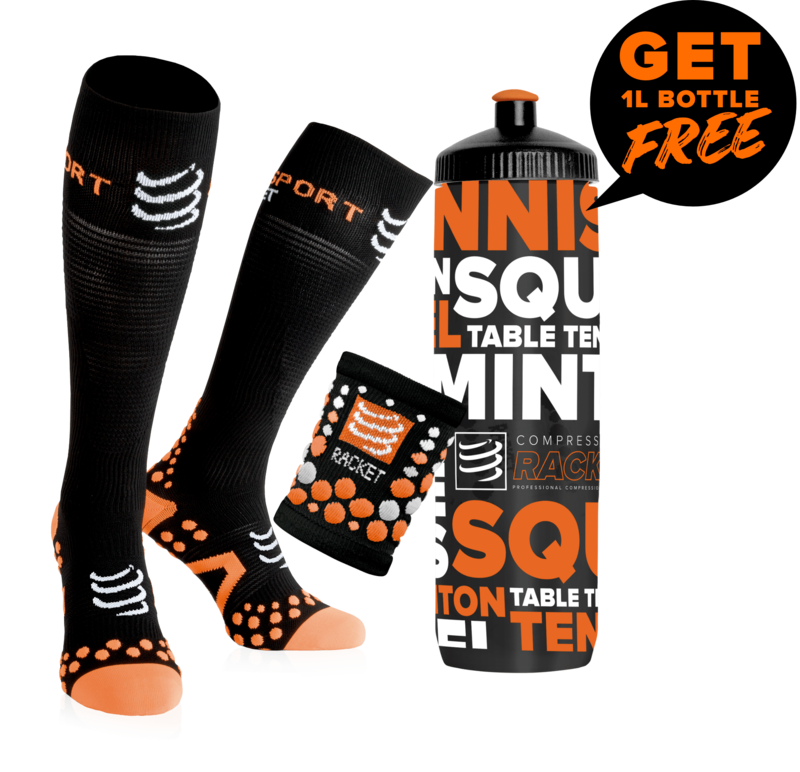 Choosing good socks in squash is very important for the comfort and the protection of your feet, especially for the sudden and quick lateral movements. With the Tecnifibre squash socks, you can fully enjoy your squash sessions.